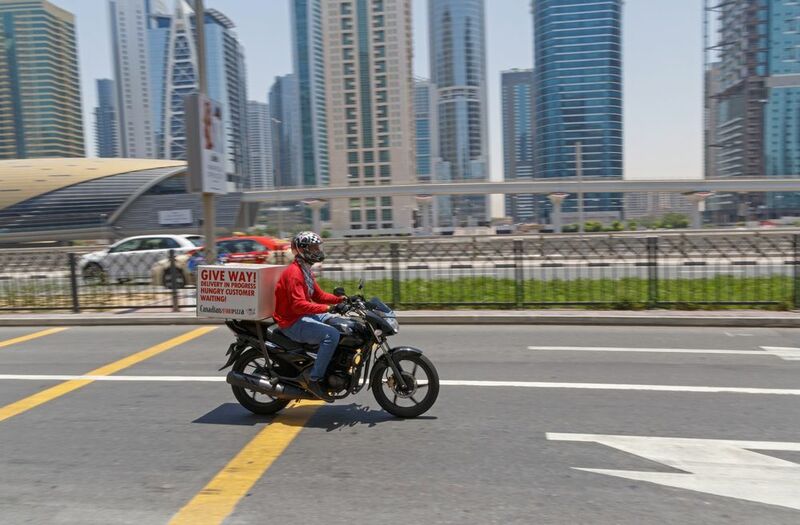 While there are far greater hardships in the world compared to starting your own business in the UAE it’s fair to say that the struggle is real, relatively speaking. 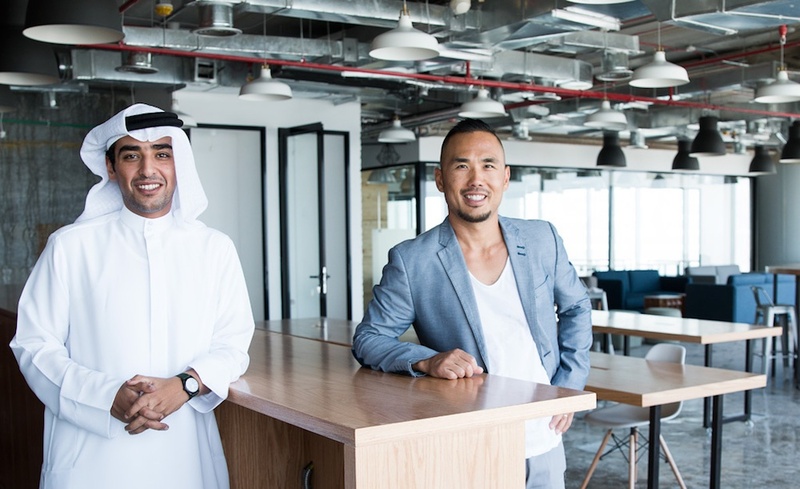 Entrepreneurs Fahad Al Ahbabi and Bernard Lee have a vested interest in helping Abu Dhabi’s entrepreneur beat these difficulties - as cofounders of the Ronyn Group, a private partnership focused on real estate and infrastructure in Abu Dhabi. And they are also the cofounders and owners of the city’s newest coworking space Glassqube. When Wamda met the cofounders they looked as well put together as their business model appears to be. Al Ahbabi is a young, clean-cut Emirati wearing a pristinely white thawb, while Lee’s persona demonstrates a more Western upbringing, but he is no stranger to Middle Eastern customs and culture. In 2012, after several years working with Deutsche Bank, Lee took a post with the Abu Dhabi Executive Council, where he met Al Ahbabi. Al Ahbabi is still in the full time employ of the Council, and both men are husbands and fathers. They opened up about the trials and tribulations that come with being family-men and bootstrapping entrepreneurs. 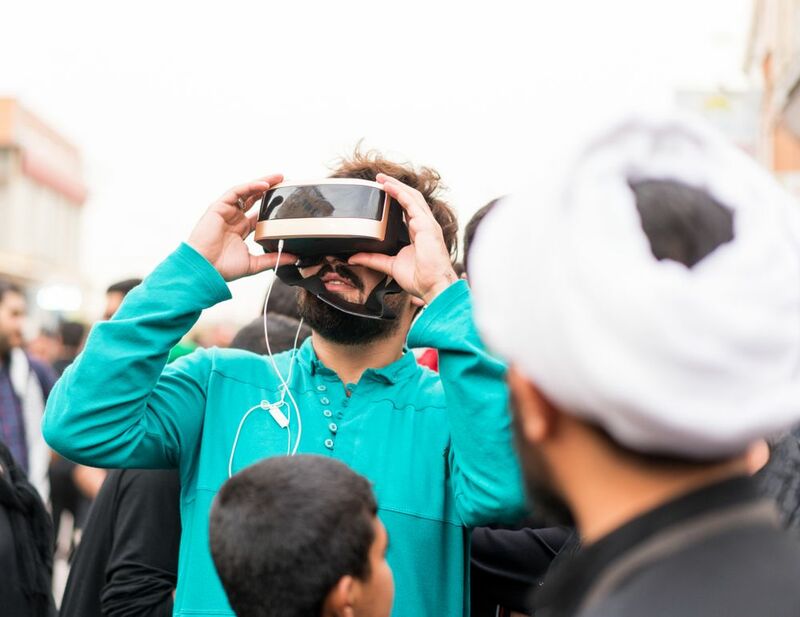 “The Glassqube experience has been tough,” said Al Ahbabi. The coworking space may have a swank exterior, but the money that has gone into it is 100 percent bootstrapped. “Fully self-funded,” Lee said matter-of-factly. Without mentioning names, Lee gave the impression they'd fielded several interested parties when it came to funding. However, it seems that the duo are dead set on going as far and long as possible before they bring in additional financing. Market analysis by Lee and Al Ahbabi suggests the Abu Dhabi ecosystem in particular demands upwards of 120,000 Emirati dirhams (US$33,000) in average startup costs, as well as 500,000 dirhams (US$136,000) in five-year operating costs, all being put towards the basics of office space and legal company formation. These associated costs, alongside industry segregation between types of entrepreneurs, are serious hindrances to the ultimate growth of the local and regional economy. This trend does not bode well with the recent drop in oil prices that has left regional governments just short of a scramble for opportunities to further diversify their economies. 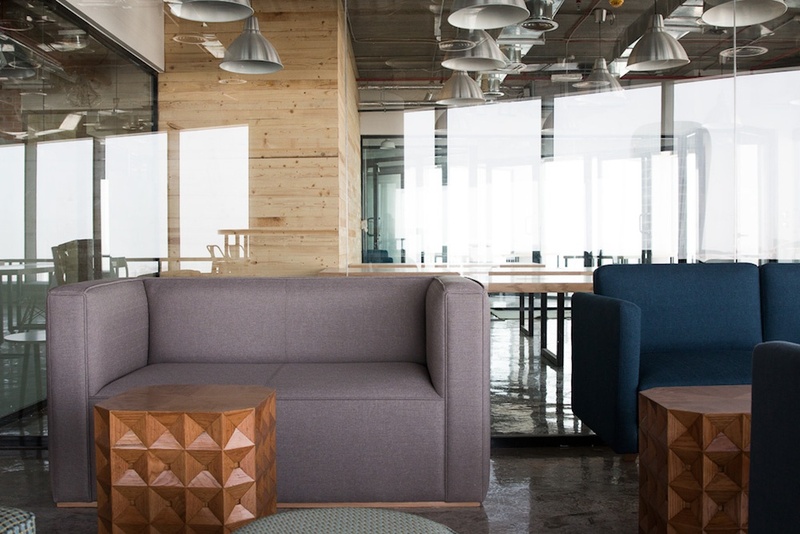 Shared workspaces and business centers are nothing new to the UAE. However, Lee argues that beyond the standard business center services, Glassqube has more to offer over their competitors besides better pricing and a chic Reem Island address. 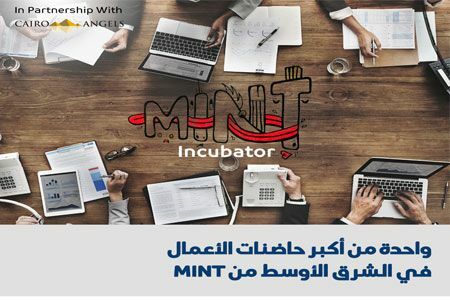 In an effort to test the market demand, while wasting no time in building their own community, Al Ahbabi and Lee began hosting and managing a meet-up group called Abu Dhabi Freelancers and Entrepreneurs. They hosted various speakers looking at a range of issues facing the entrepreneurial community, and about 150 people showed up. 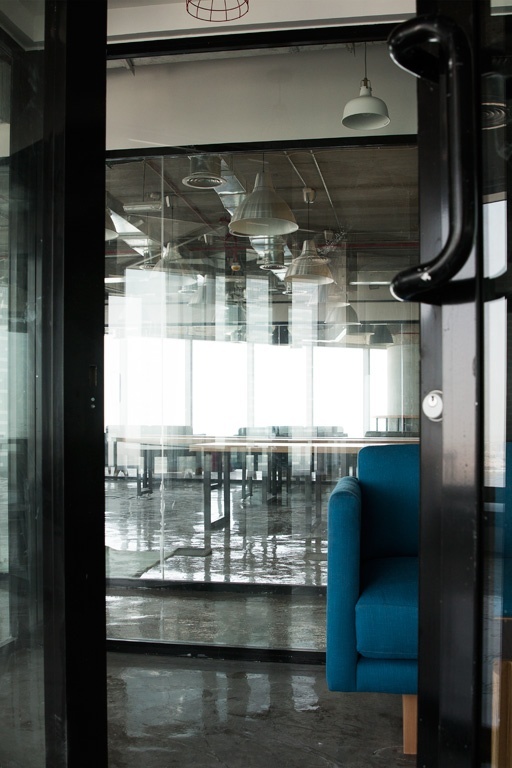 Beyond their meet-up a few months ago, Glassqube’s membership community has already begun developing, with a spectrum of entrepreneurs and businesses signing on. Uber is one of them. Chris Free, Uber’s strategy manager for the Middle East and Africa regions, mirrors Al Ahbabi and Lee’s ideology of what role companies like his can play in a diverse and nourished ecosystem. “I think our role within that ecosystem is to try to help pass on some of that knowledge we have, to ensure that these startups start to have some success,” he said. They also hope it will help them gauge the type of talent out there on the startup scene. And what would a coworking space be without a consistent coffee supply? I Luv Coffee joined the space as both a member and the space’s exclusive coffee supplier. Lee's and Al Ahbabi's shared vision for Glassqube is as a piece of the greater success of Abu Dhabi’s economy. Al Ahbabi said they were trying to present Abu Dhabi in a way that attracted people, even from outside, to come on board. It is obvious that both men have deep and profound nationalism towards their shared home. Although Lee is not Emirati, he knows that the UAE has given him more than he could have imagined, including a greater sense of purpose and a partner to join along for the ride.